4 Stylish and Easy braids for girls to look gorgeous all the year is for those ladies who want to stay fabulous. Braids are the most common hairstyle for school going and to middle aged ladies as these are very easy to make and give a dressed up look. There are various ways to make braids you can opt any braid according to the occasion. I love trying different braids for college, social get to-gathers and for prom. Hairstyle can enhance or destroy your personality if not chosen with care, use braids as these are easy to make and less time consuming, you do not need to spend hours doing blow drying and straightening. For making different types of braids you just need some practice then you can surely will be able to try braids in a little time. You can try all these braids with variations. View the celebrity wearing different types of braids and get inspired to stay stylish and cool. 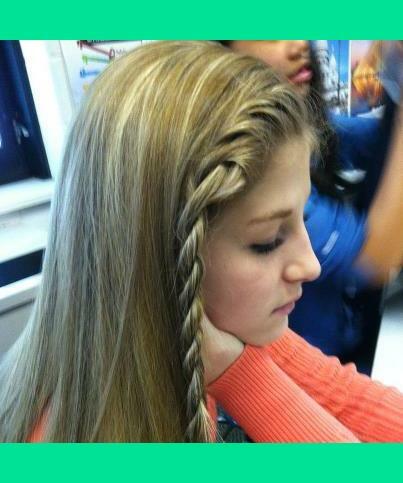 If you have very long hair then this basic braid is the best hairstyle for you that you can opt to get a classic look. The regular three strand braid is easy to do, if you practice this simple weaving technique you can try more complicated patterns. 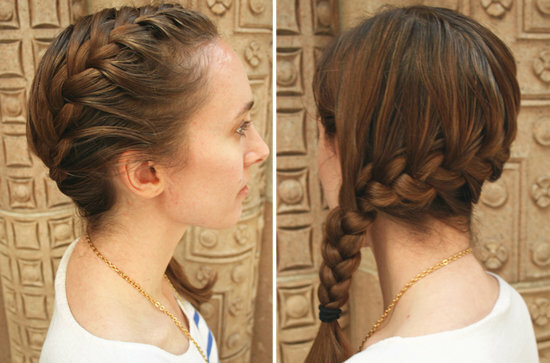 This braid looks more stylish, go for side fish braid to look more glamorous. Many celebrities are seen wearing fish tail. French braid is one of the most sophisticated plait that consist of three strands and is started from the crown of the head that gives a dressed up look. Rope plait is also called a twist braid and is very easy to make even I can make it without practice and I am sure you can also try this without practice.